Home » »Unlabelled » WHY I AM SO POOR ? Buddha reply : You are not giving and you don’t know How ? Poor Man : I got nothing to give. Buddha : You have things to give, not less at all. Mouth: You can speak with kind words, encourage people, cheerful and give them comfort. Heart : You can open your heart to the others by sincere, truthful and kindness. Eyes : You can looking at the others with kindness and compassion. Body: You can use your own labor help out the others. See…. You are not poor at all. 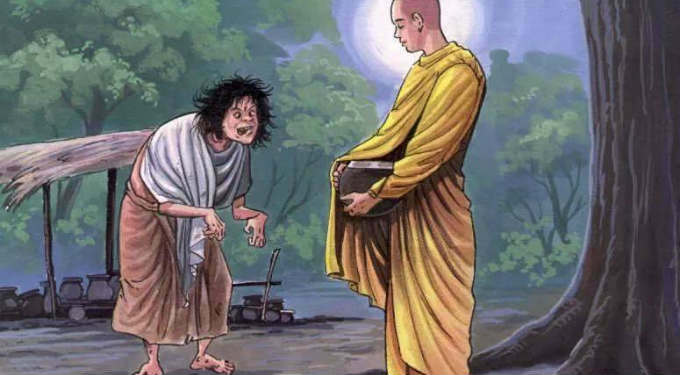 This article was republished from thebuddhisttimes.com. You can find the original post here.